James Douglas Packer was born on 8 September 1967 in Sydney, New South Wales, Australia, and is one of the richest Australian businessmen, in fact the third richest of all people living in Australia according Forbes. James is the inheritor of the company called Consolidated Press Holdings Limited, which is an umbrella for a number of other companies. Consolidated Media Holdings and Publishing and Broadcasting Limited were the companies where Parker worked as an executive chairman. Currently, he is the chairman of Crown Resorts. So just how rich is James Packer? Sources estimate that the amount of James’s current overall net worth is $3.8 billion. This has diminished somewhat since 2007, when James Packer’s was rated the richest person in Australia by Forbes, with a net worth of $7.25 billion. His assets still include two main residences in Sydney, one in Bondi Beach and another in Bellevue Hill, which is the most expensive in the whole of Australia, as well as a number of luxurious boats and yachts, plus a large collection of luxury cars, a jet aircraft and a helicopter. 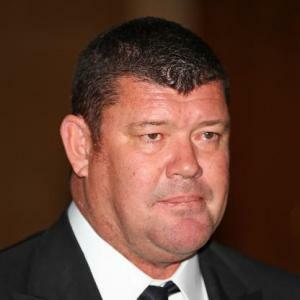 James Packer is the grandson of Sir Douglas Frank Hewson Packer, the wealthy owner of the Nine Network and Australian Consolidated Press, and the son of Kerry Francis Bullmore Packer, who was a media magnate, and Roslyn Weedon. He was educated at Cranbrook School, but did not continue further as his mother decided to groom him to take over the family business. Newcastle Waters cattle station was the first company where he took a position to acquire practical experience, and then to own, control and manage the company. James Packer was taught by his father, and a very strict mentor – Albert John Dunlap. After his father’s death in 2005, James became the executive chairman of Consolidated Media Holdings, and Publishing and Broadcasting Limited (PBL), mainly engaged in media interests. However, his business acumen is nowhere near as acute as his father’s , hence poor decisions leading to a considerable diminution of his wealth. Currently, Packer is the chairperson of one of the biggest resort and entertainment groups in Australia, Crown Limited, which has a current capitalisation of $12 billion, including interests in casinos in Macao and London, signifying a move away from the media business. He is involved in another casino project in the centre of Sydney, which it s hoped will further revive his fortunes. In his personal life, James Packer dated many girlfriends, including Deni Hines, Joan Severance and Tania Bryer. He was engaged to actress Kate Fisher, however, they separated after two years together. In 1999 he married model Jodhi Meares, but after three years of marriage they divorced. A singer and model, Erica Baxter, became James’ second wife in 2007, and together they have two daughters and a son. However, they divorced in 2013, and then in early2016 he became engaged to American singer Mariah Carey, but they parted somewhat acrimoniously later that year. James Packer is currently single. As an interesting aside, James Packer developed an interest in Scientology as a recourse after his first divorce, and in an association with actor Tom Cruise. However, this interest has now lapsed. James is a noted philanthropist – he founded the Crown Resorts Foundation, and in 2014 launched a $200 million National Philanthropic Fund which is one of Australia’s largest philanthropic commitments, particularly promoting Indigenous education opportunities, the arts and culture.